This lake home in Westhampton is one of the many projects in Keiter Builders’ portfolio of residential projects. 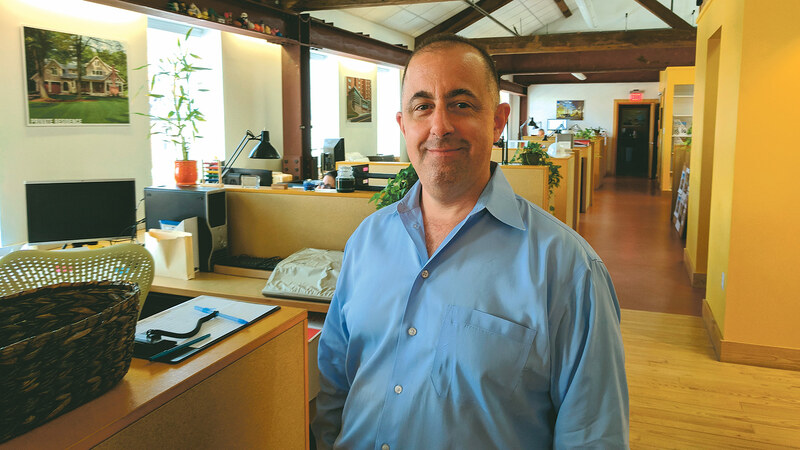 While earning his master’s degree in finance at the University of Rhode Island, Scott Keiter wasn’t thinking about using it to manage his own construction company. But after a dose of the ‘real world,’ as he called it, while working for an insurance company, his passion for carpentry took his career in a completely different direction. 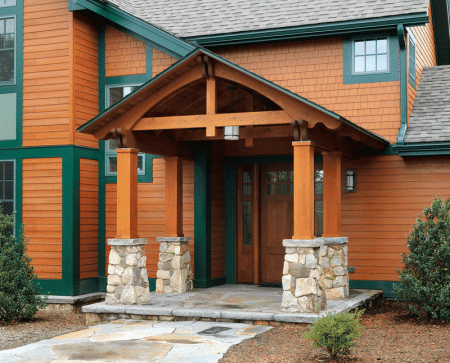 In a short decade, Keiter Builders has constructed a solid business foundation and a diverse portfolio of projects across several disciplines. By that, he means it is relatively small, at least when compared to outfits in larger cities, boasts a diverse portfolio — out of necessity and good business sense more than anything else — is agile, and also always looking to add new disciplines to the equation. Florence-based Keiter Builders is quite atypical, however, in that it is a first-generation company, started just 10 years ago, almost at the height of the Great Recession (we’ll get back to that challenge later), and therefore doesn’t have a long history. Indeed, most of the builders in the 413 can boast in their ads — and on the sides of their trucks — that they were launched a half-century or more ago. Their principals can talk about starting out working for their fathers, who can talk about starting out working for their fathers. There isn’t any of that Keiter Builders, said Scott, who noted that his father is an aerospace engineer and he himself earned a master’s degree in economics at the University of Rhode Island, and while he was earning it, thoughts of putting it to use to manage his own construction company rarely, if ever, entered his mind. However, and this is a big ‘however,’ Keiter worked as a carpenter during the summer while in high school and college, developed somewhat of a passion for building, and stayed in touch with the industry throughout his education. To move the story along, things “progressed,” as he put it, deploying a word he would use early and often, and Keiter Builders started to establish a foothold and begin its transformation into, well, a typical Valley builder. Today, as noted, it is diverse, specializing in commercial, residential, and institutional work, with clients including Smith College and Amherst College, a number of smaller businesses in and around Paradise City, and the city of Northampton itself — Keiter is currently handling a number of projects within Look Park, for example. As much as Scott Keiter is into building dwellings, commercial spaces, and softball diamonds, among other things, right now he’s mostly engaged in building his business, a process that, like most, he finds enjoyable, but also quite challenging, given the pressures of what comes day to day. With that in mind, he wants to continuously expand the portfolio, and he’s doing that through various initiatives, everything from investments in the ‘heavy construction division,’ as he called it, which is pursuing subsurface utility work, trenching, and heavy civil projects, to efforts toward gaining certification to handle work for the state Division of Capital Asset Management and Maintenance, or DCAM, which would enable it to pick up work at UMass Amherst and other state-run facilities (more on all that later). For this issue and its focus on construction, BusinessWest turns the spotlight on Keiter Builders, a comparatively young firm that has constructed a solid business foundation and is looking to continue building upon it. As part of those business-building efforts he described, Keiter said the company has become more aggressive in its efforts to promote its brand. Like most all builders, large and small, word-of-mouth referrals have always been the most effective marketing tool, but the company has added another component with a slick promotional brochure that Keiter and his staff, including his wife, Jill, invested considerable time and energy in and are quite proud of. This booklet does a very effective job of explaining the company’s depth and agility — or that ‘progression,’ as Keiter described it, while detailing not only what it does, but also, and perhaps more importantly, how. 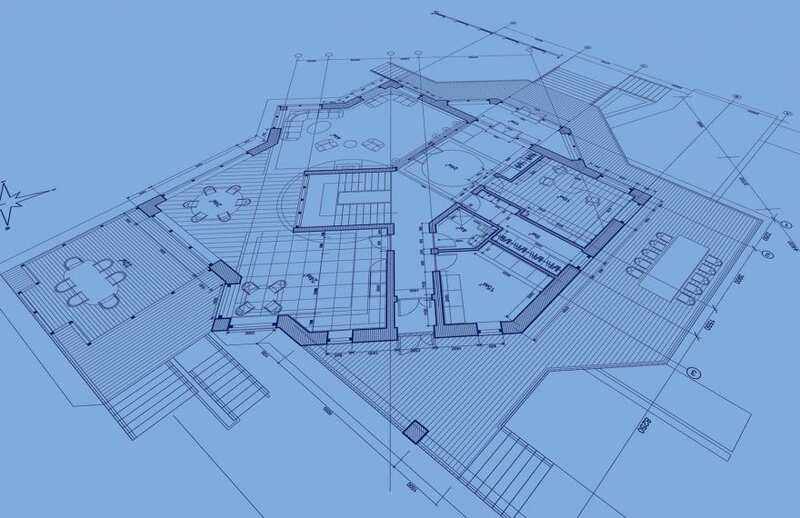 Indeed, it devotes pages to the firm’s work to carefully develop a sound pre-construction strategy and manage the construction process and meet the most fundamental of objectives in this highly competitive business — finishing on time and to the specifications set by the client. But it mostly focuses on wide array of projects in the portfolio. That list includes everything from a telescope observatory dome at Smith College to the memorial fountain at Look Park; from the Valentine Hall rooftop deck at Amherst College to the work at Roberto’s restaurant in Northampton; from the new Northampton offices of the law firm Bacon Wilson to the Convino Wine Bar in Thornes Marketplace. It also includes an addition and renovation to the optical studios almost directly across Main Street in Florence from the Keiter offices, as well as a host of new homes, remodelings, and additions. Overall, that brochure shows a great deal of progression in a decade and how quickly the company has been able to establish itself within this market. And remember, it started at the height of the recession. Well, sort of. By that he meant, well, a lot of things, including taking whatever jobs he could get, eventually adding his first employee and then more as the project list grew — “we’re really fortunate to have an excellent group of craftsmen working for us” — and lots of hard work building the solid relationships that are the very bedrock of this sector. This relationship-building ability is clearly evident in the list of projects the company is currently handling, including several smaller initiatives at both Smith and Amherst Colleges, for which Keiter has already handled a number of assignments, and ongoing work at Look Park — which is in the midst of a comprehensive capital-improvement project. Renovation of Pines Theater is among the current initiatives. There are a also a few residential projects ongoing, as well as a new building to support teen housing being developed by a Greenfield-based group called Dial/Self, said Keiter, adding that the company continues to build on the relationships it has forged in its early years while also establishing new ones. He offered Smith College as an example. The company currently handles work within a relatively small geographic radius — roughly 15 miles from its Florence base, by Keiter’s estimates — but it is looking to expand that reach as well as its list of core competencies. 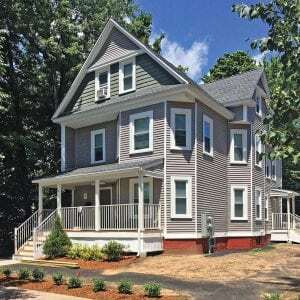 Keiter Builders handled renovations of the common area at Amherst College, one of its many institutional clients. Indeed, Keiter, as noted, is currently investing in a heavy-construction division — a subsidiary of the company, actually — based in Hatfield. This division pursues work with utilities and larger contractors and focus on excavating, trenching, and site work, and it has been growing steadily, said Keiter. Such diversification is important, especially for a sector so profoundly impacted by downturns in the economy. Meanwhile, the company now owns a number of properties in the Northampton area and will look to develop them, said Keiter, adding that he’s eyeing a mix of commercial and residential development opportunities. Then there’s the process of becoming DCAM-certified, which, Keiter said, should open a number of doors, including the large one involving UMass Amherst. “We’re starting to enter the public arena,” he told BusinessWest, adding that DCAM certification should be a catalyst for growth within the heavy-construction division as well as the traditional contracting side of the venture. Keiter, who has young children, said that someday, maybe his company can be one of those that boasts multiple generations of ownership and a half-century of history. For now, he’s focused on that business- and legacy-building process, and said the formula for doing that is pretty straightforward. Indeed, there’s just hard work — on the job site and in creating and strengthening relationships. And success in those realms has enabled Keiter to come a in way in a short decade. Stone is a mechanical engineer and designer who’s into multi-disciplinary projects, moving parts, products, machines, prototypes, and hammer swinging. He’s a partner at Cofab Design, a product design and development studio, and a cofounder of Brick Coworkshop, a shared workspace, both located in Holyoke. He’s also part of the team at AF, a national pop-up event series. What did you want to be when you grew up? A scientist — science rules. Biology and physics had my attention for a while. Unfortunately, that same attention span disposes me to detailed, focused research work, so I ended up in the design world. How do you define success? I feel successful if I am always learning and reading, always supporting and listening to my collaborators and community, and continually working to realize or facilitate new and energizing projects. What do you like most about Western Massachusetts? I love the fact that our region is a crossroads of sorts. Being from the area, I’m excited to see positive energy and projects in many towns and cities. I think the relative size of the region lends itself to a higher likelihood that we can have conversations and initiatives that make this a better place to live for everyone — as well as a hub for art, design, entrepreneurship, and other pursuits. What goal do you set for yourself at the start of each day? If I’m feeling ‘on’ for a given day, my goal is to get through a good swath of substantive to-do list items. If I’m feeling ‘off,’ my goal is to make it through to the next day. What actor would play you in a movie about your life? Andy Samberg circa 2005. What are you passionate about? I’m a chronic generalist (terminal generalist may be more appropriate), so I like to dabble with lots of things. I’m passionate about the design world (product, graphic, architecture, planning, etc.). I love to build things. I read fiction and nonfiction as constantly as I can and love print publications. I’ve been trying to play music more often lately, and have a long list of projects to complete and things to learn. Being involved with Brick has turned me on to the general process of community building, and I’m interested to learn and apply more in that discipline. Bruce Coombs’ office is filled with conversation pieces from the past. The word ‘ephemeral’ means lasting for a short time, which is odd, considering one definition of ‘ephemera’ — and how long some of it has been kicking around. “Ephemera is old paper — it could be postcards, newspapers, old magazines, sheet music, World War I and World War II posters, movie posters, Civil War correspondence, trading cards,” said Bruce Coombs, owner of both Heritage Surveys and Heritage Books. The Southampton-based surveying firm, which has been working with developers, architects, and engineers, has been around since 1977 — so it’s anything but ephemeral — while the book business, spawned from a need by Coombs to house his massive collection of used books and memorabilia, is a more recent entity. Coombs didn’t start his career in either land surveying or old books. He enrolled in the forestry program at Paul Smith’s College in New York, but went to work for the U.S. Postal Service in Long Island shortly after. Occasionally, he’d visit his sister in the Pioneer Valley, and he liked the area, so eventually he procured a transfer to the Amherst Post Office and enrolled at UMass. Soon after, in the early 1970s, he started working at Huntley Associates, a Northampton-based surveying company. After advancing in that firm and managing one of its offices, he decided to open his own company, and Heritage was born in 1976. 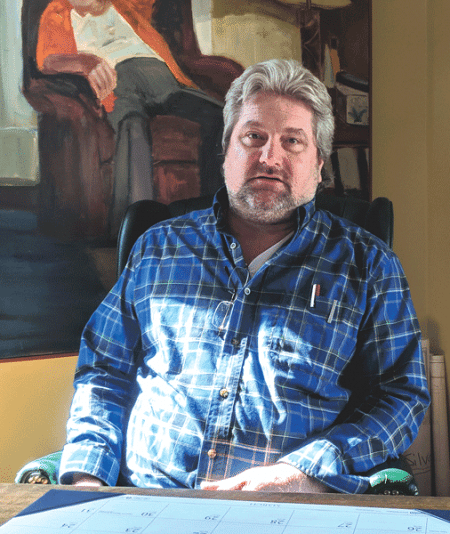 He worked out of a small office on Route 10 in Southampton until 1985, when he outgrew the space and purchased a 13-acre property about a mile south on College Highway. The idea was to grow slowly and steadily, and to focus on surveying rather than engineering. By doing so, he continued, he found that other engineering firms were willing to hire Heritage to conduct surveying for their projects. The firm’s growing reputation won jobs at Westover Air Reserve Base, Westfield-Barnes Municipal Airport, Baystate Medical Center’s Hospital of the Future expansion, the Basketball Hall of Fame, and work for the Springfield Redevelopment Authority at myriad sites. Coombs has been in the business long enough to see surveyors transition from steel tape to electronic total stations, which allow the operator to control the instrument from a distance via remote control, to GPS units that connect to satellites — progress that has reduced crews on a project from three or four to one or two. At the same time, Coombs was collecting old books — lots of them, to the point where he opened a shop, Heritage Books, in the same building that houses Heritage Surveys. Actually, he collects both books and ephemera — again, a catch-all term for all sorts of printed, often collectible materials. Eventually, his collection and bookstore were outgrowing their space. The answer to this problem came in the form of the former Southampton Library, which was built in 1904. When the property went up for sale, he put in a bid, purchased the building, and gradually began moving most of the books to the new site. At the same time, he undertook a major renovation and expansion of the Heritage Surveys property. Today, Coombs’ office is still strewn with shelves and drawers filled with books, ephemera, and other items, including his own great-grandfather’s handwritten Civil War record, as well as numerous plaques, busts, and other images of Presidents Lincoln and Washington, who were, he likes to point out, both surveyors. “I like things that are nostalgic, graphical, colorful,” he said, holding up, as one example, well-preserved sheet music (“New York and Coney Island Cycle March Two-step,” by E.T. Paull) adorned with colorful illustrations of the historic fairgrounds in the 1890s. Perhaps the most striking collectible sits on a table in the library: a large ferris wheel — with a working motor and lights — made in the 1930s from about 200,000 medical applicator sticks; he discovered the damaged relic, and some accompanying model circus wagons, and had them all restored for display in the bookstore. This emphasis on the past is accessible in a thoroughly modern way, a website that links to several e-commerce outlets for Coombs’ collection, including eBay, Biblio, Alibris, and Amazon. Some 30,000 books and other items are searchable online. For the rest, buyers have to visit the old library. Coombs is making some changes as well, mainly to downsize his collection. For 18 years, he’d maintained a 520-square-foot storage unit in the Eastworks basement up the road in Easthampton, with shelves reaching eight feet tall, loaded with books. The rental probably cost him close to $40,000 over that time, yet the materials in it weren’t nearly that valuable, so he eventually moved everything out. “We took 350 boxes to the Salvation Army in Westfield, and kept some things and blended them into our collection,” he said, noting that he still has plenty of overflow inventory in a six-car garage, but may gradually empty that as well. Thus, the next chapter in an intriguing dual career begins. EAST LONGMEADOW — HUB International Limited, a leading global insurance brokerage, announced it has acquired the assets of Leitao Insurance Inc. Terms of the acquisition were not disclosed. Located in Ludlow, Leitao is a multi-line insurance brokerage firm providing products in personal and commercial lines. The Leitao agency will join HUB New England with other local HUB offices in Ludlow (formerly Your Choice), South Hadley, Monson, and East Longmeadow. SPRINGFIELD — The CRRC MA rail-car manufacturing facility at the former Westinghouse site was honored as the state’s outstanding engineering achievement of the year by the American Council of Engineering Companies of Massachusetts. Plaza Construction, which served as the design-build contractor for the property, accepted the award at a ceremony Wednesday. The $95 million project, spanning more than 204,000 square feet — not including the 2,240-foot test track — is the largest industrial investment in Greater Springfield in generations. The Chinese-owned company will start building new cars for the MBTA Orange Line in April, and for the Red Line later this year. In 2014, CRRC received a $566 million contract from the MBTA to build 152 Orange Line cars and 252 Red Line cars at the Page Boulevard site. Two years later, the state ordered an additional 120 Red Line cars at a cost of $277 million, with production set to begin in 2022. WEST SPRINGFIELD — Hofbrauhaus owners Joe and Liz Stevens will close its doors for good on April 1, the couple announced on Facebook on Wednesday. “It is official — as of Easter Sunday, April 1, 2018 (and no, this isn’t an April Fool’s joke), the Hofbrauhaus will be closing its doors for good,” they wrote. “We thank everyone for their patronage and support over the years, but we are ready to move on and make some big, wonderful, exciting, and maybe a little scary changes in our lives.’” Hofbrauhaus, the German restaurant that became one of the region’s most iconic eateries, first opened its doors in 1935. SPRINGFIELD — The Square One family continues to expand, thanks to its latest partnership with Ohana School of Performing Arts. Ohana owner Ashley Kohl and her team are volunteering monthly to visit preschoolers at the Square One Tommie Johnson Child & Family Center in Springfield. All 150 children will receive lessons in creative movement and dance. “Studies have long pointed to the physical benefits of dance when it comes to keeping children fit and working to combat childhood obesity,” said Kristine Allard, chief development and communications officer for Square One. “More recent research also points to the benefits of dance from the standpoint of emotional, social, and cognitive development, which is a critical component of our work at Square One.” The volunteer support comes in conjunction with Ohana’s recent gift of $1,000 to support Square One’s work with children and families. NORTHAMPTON — Thornes Marketplace will begin a major renovation of its front entrance on Main Street the first week in April to make practical improvements as well as aesthetic ones that are historically accurate. Richard Madowitz, Thornes owner and property manager, stressed that work on the entryway — one of the last phases of a multi-year capital-improvement project — will be conducted from 9:30 p.m. to 7:30 a.m. The front entrance will remain open daily during regular business hours. After the project gets underway, Madowitz noted, visitors with questions or concerns can send feedback to [email protected] Photographs will be available on Thornes’ Facebook page, and news and updates will appear at thornesmarketplace.com. Over the past 10 years, Thornes Marketplace has undertaken a series of major renovations to improve and enhance the eclectic shopping center. Thornes has partnered with Keiter Builders Inc. and Emily Estes of Estes Architecture and Design for the renovations to the entranceway. McGee said the practical goal of the project is to improve accessibility and make the entrance more user-friendly by replacing the 30-year-old wooden doors with wider doors equipped with modern power operators compliant with the Americans with Disabilities Act. Aesthetic improvements will include a raised, coffered ceiling; new, custom-stained oak doors; dramatic chandelier lighting; and new floor tiling. The Florence Bank ATM enclosure will also be renovated to fit the period. SPRINGFIELD — Indian Motorcycle, the Springfield-based pioneer of the American motorcycle industry, will debut the brand’s first-ever apparel store as an anchor tenant of MGM Springfield’s retail collection. The flagship location will open its doors at the MGM property later this year. The Indian Motorcycle store will offer items from the brand’s casual apparel line, the Indian Motorcycle 1901 Fashion Collection. This road-ready collection features graphic tees, sweatshirts, hoodies, and jackets inspired by Indian Motorcycle’s rich heritage. Indian Motorcycle jewelry and accessories also will be available for purchase. 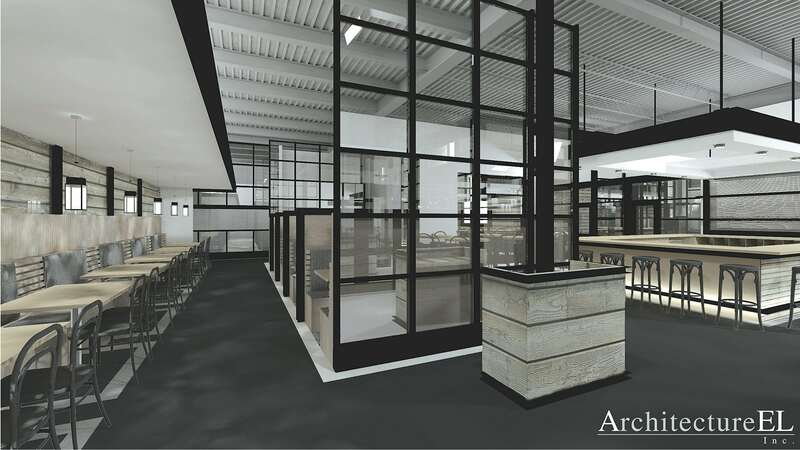 Mirroring the aesthetic of the store’s product lines, the space will feature an industrial-yet-modern vibe with exposed, vaulted ceilings and concrete and wood elements. Paying homage to its long-standing roots in the heart of Springfield, the location will open onto to the resort’s plaza. SPRINGFIELD — American International College (AIC) joined the Hispanic Assoc. of Colleges and Universities (HACU) as an associate member. HACU was established in 1986 with a founding membership of eighteen institutions. It now represents more than 470 colleges and universities committed to Hispanic higher-education success in the U.S., Puerto Rico, Latin America, and Spain. While member institutions in the U.S. represent only 13% of all higher-education institutions nationwide, together these colleges and universities are home to two-thirds of all Hispanic college students. HACU’s commitment to Hispanic achievement in education ranges from kindergarten through graduate school and into the work force of tomorrow. Key among the organization’s goals is to improve access to and quality of post-secondary educational opportunities for Hispanic students. SAN JOSE, Costa Rica — Viridi International Resorts SRL, a new upstart in the ultra-luxury boutique hotel and spa space, announced the acquisition of El Silencio Lodge and Spa from Grupo Isilita, San Jose, Costa Rica. El Silencio Lodge is a luxury eco-tourist resort located in the high-altitude cloud forest just one hour from San Jose in Bajos del Toro. El Silencio was recently voted the No. 2 Top Resort in Central America by Condé Nast Reader’s Choice Awards. El Silencio Lodge offers one of the best lodging and dining experiences in Costa Rica. The property’s 16 intimate casitas and six two-bedroom villas offers visitors a one-of-a-kind refuge from a busy world. The resort’s detached suites offer a private viewing deck of the surrounding cloud forest with traditional rocking chairs, and a private heated outdoor Jacuzzi. Viridi plans to add additional rooms and suites in the months and years ahead. The hotel’s Las Ventanas Restaurant offers traditional Costa Rican dishes in addition to an eclectic assortment of entrees and appetizers with organic farm-to-table produce and fresh fish from two on-site fish farms. Guests can actively participate in the culinary experience by fishing for rainbow trout (Costa Rican salmon), picking vegetables, collecting free-range chicken eggs, or venturing out to a community market before enjoying a fun-filled interactive cooking session with the resort’s head chef. A second on-site restaurant, Hierbabuena, is open weekends during high season and offers a more casual menu for family gatherings. Onsite activities at El Silencio include horseback riding, ziplining, waterfall repelling, fishing, yoga, and more than two miles of hiking trails, all located on 500 acres of a pristine Costa Rican cloud forest with three breathtaking waterfalls, including one nearly 200 feet tall, all flanked by two national parks to ensure a quiet and serene experience. The resort’s open space Esencia Spa offers a full array of rejuvenating treatments using indigenous Costa Rican rainforest oils and minerals. Viridi International Resorts SRL was founded by Boston-area media entrepreneur John Gormally with the goal of building a small to medium-sized luxury boutique hotel/spa group with properties throughout Central and South America, the Caribbean, and other highly sought-after destination spots across the globe. Akoya Hospitality LLC, New York, N.Y. acted as advisor to buyer. Resort Capital Partners of Charlotte, N.C. acted as advisor to the seller. The sale price was not disclosed. NORTHAMPTON — Thornes Marketplace will begin a major renovation of its front entrance on Main Street the first week in April to make practical improvements as well as aesthetic ones that are historically accurate. 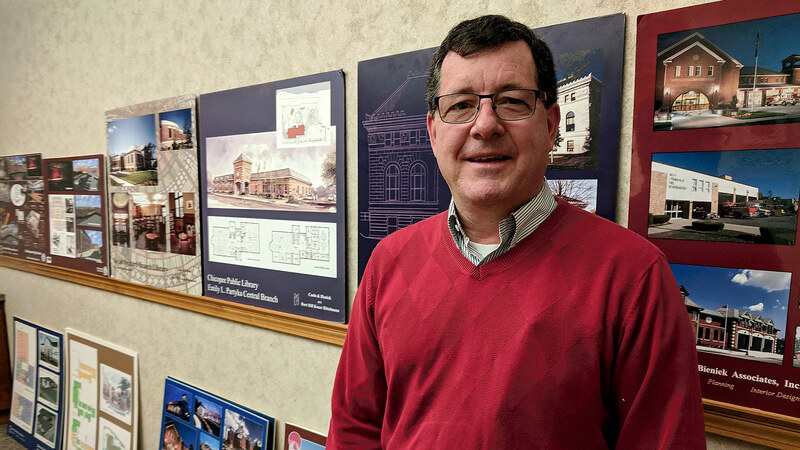 Richard Madowitz, Thornes owner and property manager, stressed that work on the entryway — one of the last phases of a multi-year capital-improvement project — will be conducted from 9:30 p.m. to 7:30 a.m. The front entrance will remain open daily during regular business hours. “We plan to provide signage, wayfinding, and other helpful measures to minimize disruption, and we apologize for any inconvenience this may cause our visitors as we know that Thornes is an integral part of downtown Northampton,” Madowitz said. After the project gets underway, he noted, visitors with questions or concerns can send feedback to [email protected]. Photographs will be available on Thornes’ Facebook page, and news and updates will appear at thornesmarketplace.com. Over the past 10 years, Thornes Marketplace has undertaken a series of major renovations to improve and enhance the eclectic shopping center. “This main-entrance renovation caps it off,” said Jon McGee, Thornes facilities manager, noting that some of the work in recent years was aimed at improving accessibility. Thornes has partnered with Keiter Builders Inc. and Emily Estes of Estes Architecture and Design for the renovations to the entranceway. McGee said the practical goal of the project is to improve accessibility and make the entrance more user-friendly by replacing the 30-year-old wooden doors with wider doors equipped with modern power operators compliant with the Americans with Disabilities Act. 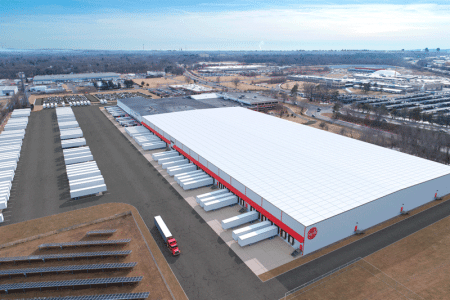 SPRINGFIELD — It was in 1995 that Big Y expanded its three smaller distribution facilities into the former Rexnord Roller Chain Manufacturing Co. on Roosevelt Avenue in Springfield. At the time, a staff of 27 people distributed produce and other products to 31 supermarkets throughout the region. Three years later, Big Y’s corporate headquarters and store support center moved to the same site. Fast-forward to 2018, when Big Y’s distribution now supports 70 supermarkets out of the same space, and it is easy to see the need for an expanded facility. The current 189,000-square-foot distribution center has 19 receiving bays and operates round the clock seven days a week with a staff of 92 moving product through this system. In 1995, 3.5 million cases of product were shipped each year from this facility. Even eight years ago, Big Y’s distribution-center team shipped out nearly 15 million cases to stores. By the end of last year, that number had increased to more than 20 million cases. Therefore, Big Y plans an expansion in order to provide capacity for the next 20 years, with includes plans for 20 new supermarkets. The company anticipates a total of 53 dock doors are needed to manage this growth, along with an additional 232,000 square feet of space for a total of close to 425,000 square feet. This expansion will improve the efficiency of the flow of goods to all of stores and will require an additional 32 full-time employees at this site. Big Y has worked with Kevin Kennedy, Springfield’s chief Development officer, along with Mayor Domenic Sarno to develop a plan for this $35 million to $40 million project. In addition, Big Y is working with Springfield based Dennis Group, a local full service planning, architecture, engineering and construction management firm on this project. It is expected to be completed over the next 18 months. AMHERST — The UMass Dining mobile app has been recognized in the Web Marketing Association’s sixth annual MobileWebAwards competition as both the Best University Mobile Application and the Best of Show Mobile Application of 2017. The UMass Dining mobile app’s key features include up-to-date menus, operating hours, and contact information for all dining common locations, the ability to view real-time traffic updates for each location, having access to UMass Dining’s on-campus events information, and the ability to personalize one’s menu for dietary preferences and allergens. Each website and mobile application in this year’s MobileWebAwards competition were assessed based on creativity, impact, design, content, interactivity, ease of use, and the use of the medium. Each entry was evaluated in comparison to the websites and mobile apps within the same format in its industry and then judged for an overall standard of excellence. SPRINGFIELD — United Personnel announced it has won Inavero’s Best of Staffing Client and Talent Awards for providing superior service to clients and job seekers. Presented in partnership with CareerBuilder, Inavero’s Best of Staffing winners have proven to be industry leaders in service quality based entirely on ratings by their clients and the employees they have helped find jobs. On average, clients of winning agencies are 2.3 times more likely to be completely satisfied. Job seekers who work with winning agencies are 1.7 times more satisfied with the services provided compared to those working with non-winning agencies. Focused on helping to connect people with the right job opportunities, United Personnel received satisfaction scores of 9 or 10 out of 10 from a significant amount of both clients and candidates placed in jobs, resulting in the recognition. These two awards are distinctions that fewer than 2% of all staffing agencies in the U.S. and Canada have earned. 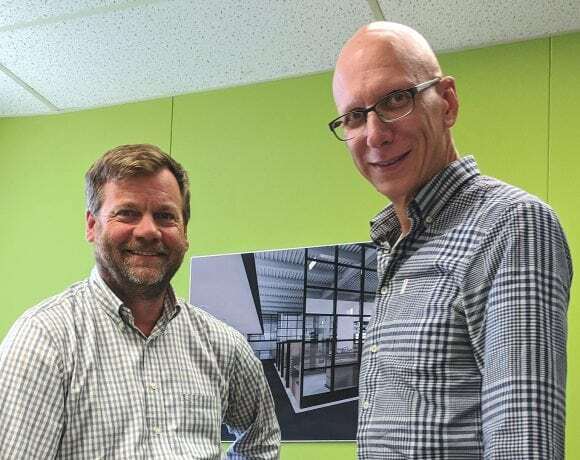 WEST SPRINGFIELD — Professional Drywall Construction Inc. (PDC) recently transferred ownership of the company to two of its employees. Ron Perry and Nick Shaink are now carrying on founder John Kendzierski’s legacy as a leading commercial drywall contractor in Southwestern New England. Former owner John Kendzierski will remain on the board of directors as a consultant. 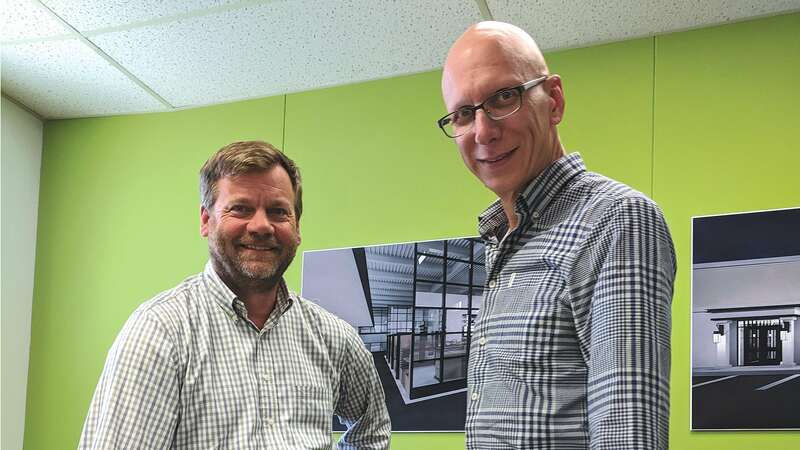 PDC will continue to operate from its West Springfield office, but in order to better serve the construction industry in Connecticut, it recently opened a second office in South Norwalk, Conn. The new location allows PDC to react more quickly to requests from Connecticut customers and provide additional on-site consultation in the Southern Conn. area. Affiliated with the carpenters and laborers union since 1997, PDC has grown to become a regional firm with more than employees, working in Massachusetts, Vermont, New Hampshire, and Connecticut. 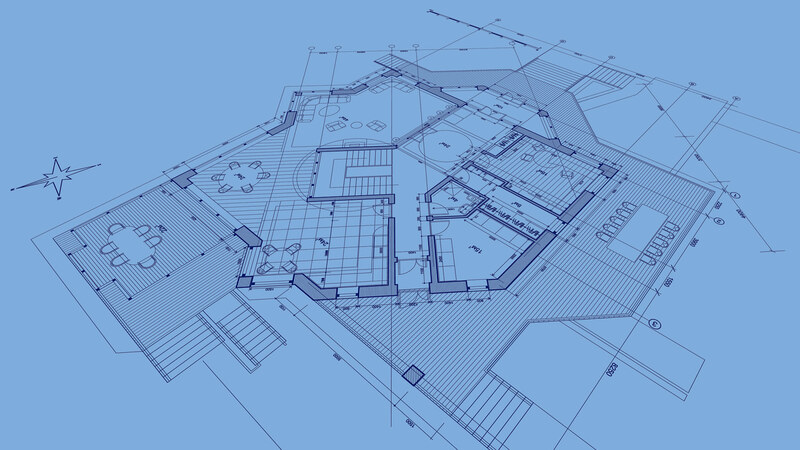 PDC is pre-qualified to work in both Massachusetts and Connecticut, and has a bonding capacity of up to $35 million, enabling it to accommodate virtually any size project. GREENFIELD — PV Squared, a worker-owned cooperative and certified B Corp solar-installation company located in Greenfield, recently welcomed five new worker-owners to the ownership team. Each of the new worker-owners — Daniel Berry, Daniel Gomez, Doug Dedischew, Elliot Henry, and Ian Tapscott — has worked at PV Squared for at least two years before being promoted to worker-owner. PV Squared started with four co-owners in 2002 and has since grown to 44 employees, 24 of whom are worker-owners. There are thousands of worker-owned cooperatives around the world, and that number is growing. The cooperative model reflects a growing movement to create an economic and social alternative to ‘business as usual.’ In a worker-owned cooperative, the people who do the work make the decisions together, instead of having them handed down from an executive. It’s a think-on-your-feet model that allows workers to offer their perspective, suggest alternative methods, and affect real change in practices. PV Squared provides renewable-energy solutions to a wide range of clients, including business owners, commercial property owners, academic institutions, and homeowners in Western Mass. and surrounding regions. SPRINGFIELD — The MassMutual Foundation Inc. — a dedicated corporate foundation established by MassMutual — announced it is providing $1 million to expand the City Connects program into eight additional elementary schools throughout Springfield. This grant aligns with the foundation’s focus on supporting programs that broaden economic opportunity for students and their families by transforming the system of learning. It is also consistent with the company’s recent decision to expand and reinvest in Massachusetts. City Connects, a national program executed by the Lynch School of Education at Boston College, launched in five Springfield public schools in September 2011 and has tripled its reach and impact, serving 15 schools in 2017. The MassMutual Foundation grant will enable City Connects to reach a total of 23 schools. The program provides support for students based on their individual needs by addressing out-of-school challenges that affect student success, and leverages existing community resources and support services to optimize students’ readiness to learn. During the 2016-17 school year, City Connects served more than 5,000 Springfield students, and nearly 100 community partners provided support and services to meet these students’ unique strengths, needs, and interests. Research has shown that the City Connects program significantly improves students’ academic performance; some positive long-term effects include lower dropout rates, higher test scores, and less chronic absenteeism. HATFIELD — The Food Bank of Western Massachusetts announced it has received a $30,000 grant award from Health New England to support Puerto Rican evacuees settling in Western Mass. following Hurricane Maria. The Food Bank has been collaborating with community organizations throughout the region to provide evacuees with their most basic need: food. The grant award will fund the food needs of the two designated welcome centers with the greatest influx of new people: Springfield Family Resource Center and Enlace de Familias Resource Center of Holyoke. Since evacuees began arriving in Western Mass. last October, the Food Bank has been working with these local organizations to ensure everyone has access to healthy food. It has been making weekly deliveries to Enlace de Familias to provide food for approximately 125 families per week. The provisions of canned fruit and vegetables, soup, rice, beans, cereal, pasta, peanut butter, and other staples afford families nourishment as they get themselves settled. The Food Bank has also been delivering food weekly to the Springfield Family Resource Center. Additionally, its agency-relations team has been connecting families with other local partner feeding programs so they can continue to access healthy food, and SNAP coordinators have been on site in Holyoke, enrolling evacuees to receive federal SNAP food benefits. SPRINGFIELD — The Million Dollar Round Table (MDRT) Foundation awarded a $5,000 grant to Community Music School of Springfield (CMSS) through its Quality of Life Grant Program in honor of Jeanmarie Deliso, CFP. Through its global grants programs, the MDRT Foundation is committed to building stronger families and communities around the globe. This year, the MDRT Foundation will award more than $1 million in MDRT member-endorsed grants to more than 200 charitable organizations worldwide. Representing the MDRT Foundation, Deliso will present this grant to Community Music School of Springfield on March 23 at its board meeting. Trained in both music and special education, CMSS faculty work with Springfield classrooms to teach general music concepts in a way that is accessible to special-education students. The AMP Institute expands the reach of this work by training educators to use these methods in their classrooms. DEWITT, N.Y. — Forbes magazine recently ranked Community Bank, N.A. sixth in the nation for financial performance in a study analyzing 10 key metrics related to growth, asset quality, capital adequacy, and profitability for the nation’s 100 largest banks and thrifts. This is the seventh year running that Community Bank, N.A. has ranked among the top 15 banks on the list. Forbes began ranking America’s 100 largest publicly traded banks and thrifts after the financial crisis of the late 2000s. Community Bank, N.A. scored above all regional banks serving within the bank’s footprint. AGAWAM — The West of the River Chamber of Commerce recently welcomed Bumpy’s Natural and Organic Foods to the Agawam community. Business owner Derryl “Bumpy” Gibbs and his sister Dishanda Robinson moved the retail store from Granby to the Agawam location last month. As the community becomes more health conscious, Gibbs felt the move was a good opportunity for Agawam and the surrounding region to “eat well, feel great, and save money” — the company’s slogan. It is a family-owned business looking to support healthy families. From an elaborate selection of herbal teas to shampoos to baby needs, Bumpy’s aims to meet the everyday needs of people looking to eat and live healthy, Gibbs said. SPRINGFIELD — The Women’s Fund of Western Massachusetts (WFWM) announced it has received a $25,000 grant from Irving and Sulamith Blackberg Charitable Foundation, Stanley Waxler, Joan Waxlerm and Bank of America, N.A., co-trustees. The unrestricted funds will directly support women and girls in Western Mass. who are participating in the Women’s Fund’s signature leadership-development programs, the Leadership Institute for Political and Public Impact (LIPPI) and the Young Women’s Initiative (YWI). Both programs are dedicated to serving local women and girls in their personal and professional leadership development. LIPPI is a non-partisan initiative that provides women with the tools, mentors, and confidence they need to become community leaders and elected officials. The program trains women in the nuts and bolts of impacting policy from a citizen perspective, and develops leadership confidence through 11 intensive workshops held in downtown Springfield over 10 months. YWI, a national, multi-sector project aimed at creating sustainable prosperity for young women, is a cooperative effort of eight women’s foundations across the U.S. The Women’s Fund of Western Massachusetts is leading the Springfield Partnership, a pilot program that aims to produce systems change in the region’s largest city. SPRINGFIELD — It was in 1995 that Big Y expanded its three smaller distribution facilities into the former Rexnord Roller Chain Manufacturing Co. on Roosevelt Avenue in Springfield. At the time, a staff of 27 people distributed produce and other products to 31 supermarkets throughout the region. Three years later, Big Y’s corporate headquarters and store support center moved to the same site. Fast-forward to 2018, when Big Y’s distribution now supports 70 supermarkets out of the same space, and it is easy to see the need for an expanded facility. The current 189,000-square-foot distribution center has 19 receiving bays and operates round the clock seven days a week with a staff of 92 moving product through this system. In 1995, 3.5 million cases of product were shipped each year from this facility. Even eight years ago, Big Y’s distribution-center team shipped out nearly 15 million cases to stores. By the end of last year, that number had increased to more than 20 million cases. A rendering of Big Y’s future expanded distribution center. Therefore, Big Y plans an expansion in order to provide capacity for the next 20 years, with includes plans for 20 new supermarkets. The company anticipates a total of 53 dock doors are needed to manage this growth, along with an additional 232,000 square feet of space for a total of close to 425,000 square feet — the size of nearly nine football fields. This expansion will improve the efficiency of the flow of goods to all of stores and will require an additional 32 full-time employees at this site. It will include 152,000 square feet of additional dry product storage and 82,000 square feet of specialized refrigerated storage for various products. Big Y’s distribution center also houses a large recycling area for cardboard and plastic wrap and serves as a staging ground for meat donations as they are sent to area food banks. Currently, local farmers have the option of delivering their fruits and vegetables to this distribution facility in order to save them the time and expense of driving to Big Y’s individual stores while ensuring freshness and speedy deliveries. This expansion will make it more efficient for them to get their fresh produce to the distribution center so that they can quickly get back to their farms. Big Y has worked with Kevin Kennedy, Springfield’s chief Development officer, along with Mayor Domenic Sarno to develop a plan for this $35 million to $40 million project. In addition, Big Y is working with Springfield based Dennis Group, a local full service planning, architecture, engineering and construction management firm on this project. It is expected to be completed over the next 18 months. Other elements of this expansion include some renovation within Big Y’s headquarters including a new employee café and a test kitchen to develop and test new recipes, concepts, meals, dietary and nutritional options, and products before rolling them out to consumers. In addition, the test kitchen can host food tastings and focus groups as well as serve as additional training for store teams each week. Plans also include a new employee entrance and visitors welcome and reception area. Big Y Foods Inc. is one of the largest independently owned supermarket chains in New England, operating 78 locations throughout Massachusetts and Connecticut — including 70 supermarkets, 39 pharmacies, Fresh Acres Market, Table & Vine Fine Wines and Liquors, and six Big Y Express gas and convenience locations — and employing more than 11,000 people.